The Enterprise School District was organized in 1884 on one acre of land donated by Dr. A.A. Graham with the stipulation that dancing on school grounds was prohibited. With fifteen pupils, a teacher that lived with families in the area, and a building, the Enterprise District was born. 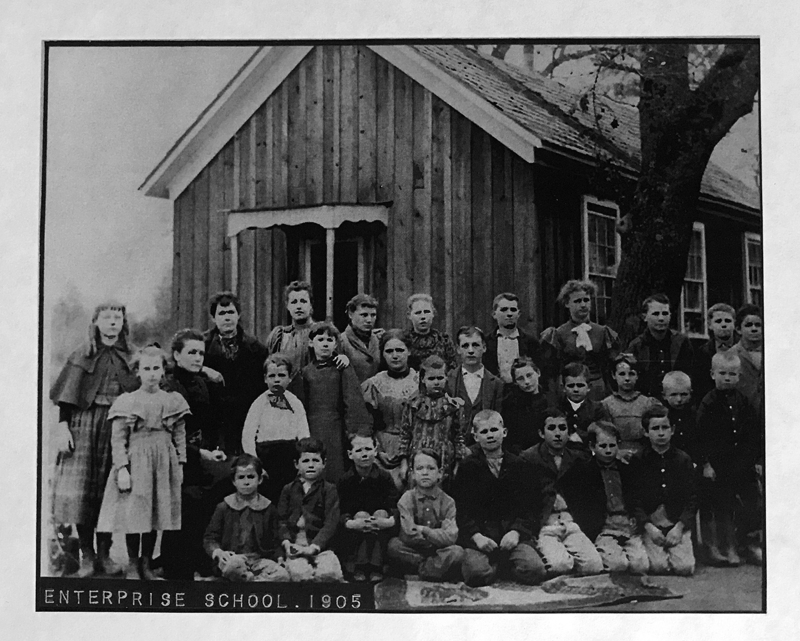 The first school built, named Enterprise School for the community's enterprising spirit, was a one-room building located at the corner of Hartnell Avenue (which was Highway 44 at that time) and Churn Creek, property now occupied by the Redding Fire Department. Three more classrooms were built later, making the school into an L-shape. Electricity came to Enterprise in 1929. The main bond of the growing community until the 1940's was Enterprise School. In the late forties, the school had outgrown the building and used the Community Hall on Hartnell for the overflow classes. 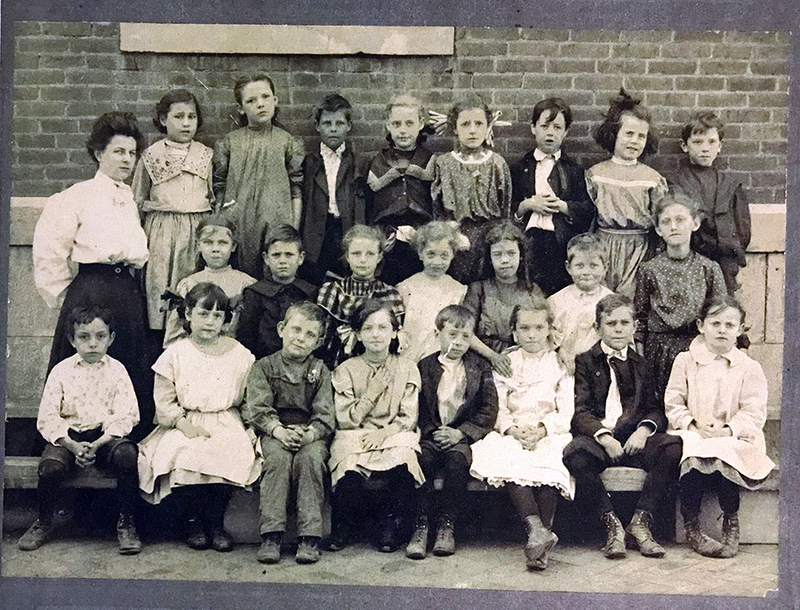 From 1937 to 1966, tremendous community growth necessitated new schools be built, and Rother Elementary, Shasta Meadows Elementary, and Parsons Junior High schools began construction. The school district received its first bus in 1951. In 1959, Lassen View School was built. 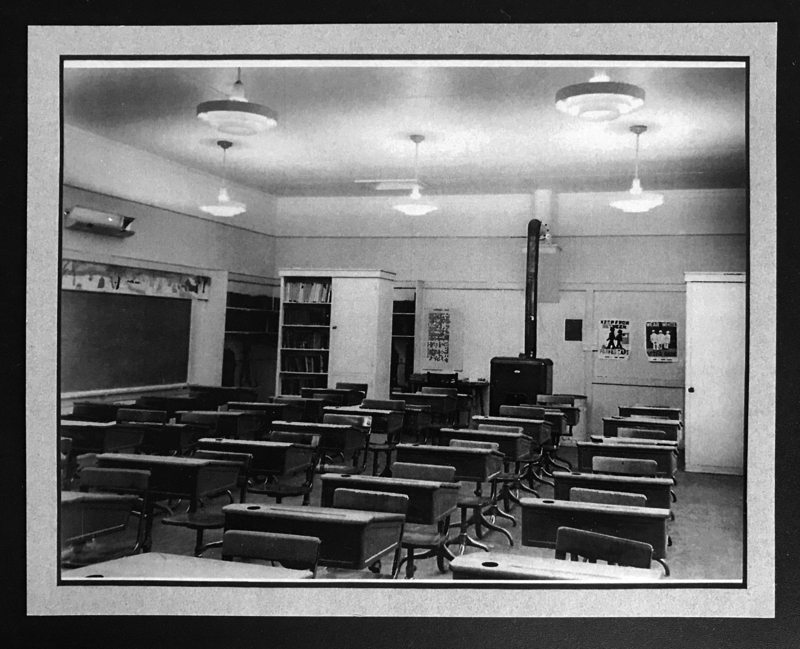 The first Mistletoe School (see black and white photo), a self-contained district separate from Enterprise, operated as an ungraded school until 1955, when it closed its doors. In 1961, a new Mistletoe School was constructed, and it became a part of the Enterprise Elementary School District. Mistletoe School as it is today is shown below. In 1966, Alta Mesa Elementary School was built. Our most recent building addition to the Enterprise Elementary School District is Boulder Creek Elementary School which was built in 1993. There were about 250 students in the District in 1950. Enrollment grew to 2,600 in 1970. Now, more than 3,700 students attend the nine schools which comprise the Enterprise Elementary School District.